Some emails don't necessarily need a reply, but you want to let the sender know you read the email and will act accordingly or approve of the course of action. Most email platforms have send receipts, but they require the sender to set them up prior to sending, and still at best prove that you opened the email. To solve this conundrum and clear my inbox, I took a page out of my social media habits and saved my own facebook-style "like button." In the example above, I responded to one of my assistant principal's emails about make-up fire and tornado drills we'll be having next week. How can I get my own? 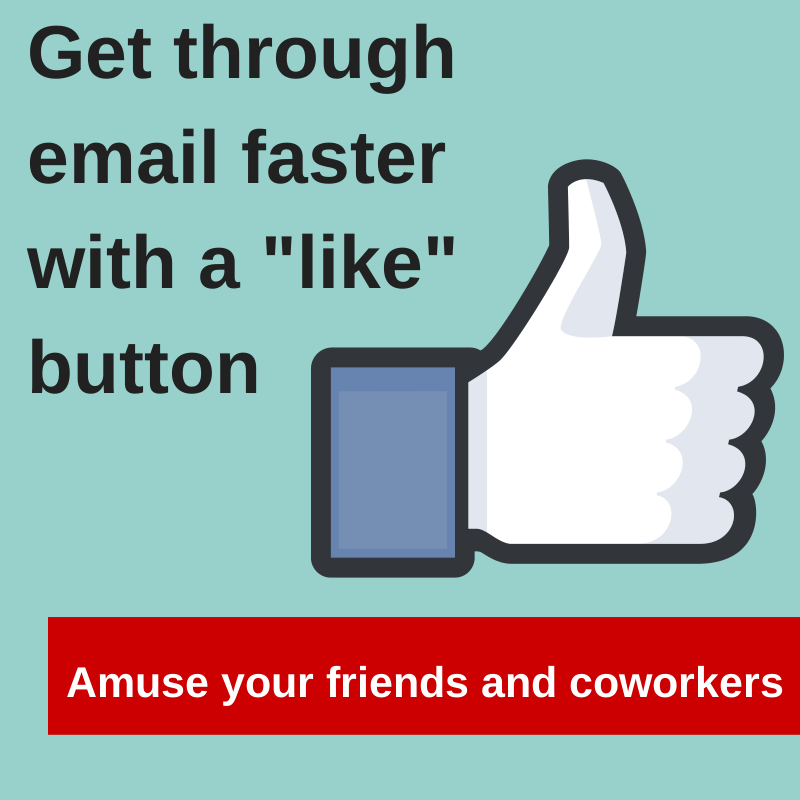 Do a Google search for "facebook like button"
Drag your image from the desktop to your email text field. Save your favorite image by touching it until the box pops up to "save image"
Click on the paperclip icon and "attach a photo"
It's a pretty quick process on a desktop/laptop, but you're probably better off just using an emoji on a phone or tablet.